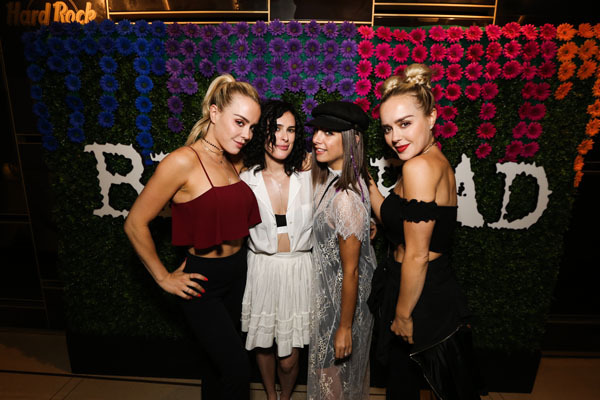 For Lollapalooza this weekend, celebrities including SERAYAH (Empire), Rumer Willis (Empire), Brandi Cyrus (Cyrus Vs. Cyrus), and Iggy Rodriguez (The Bachelorette) stopped by The Bed Head Hotel, a festival pop-up at Hard Rock Chicago. Activations by Chicago graffiti artist JC Rivera, House of Shroom, Zespri, Related Garments + more. 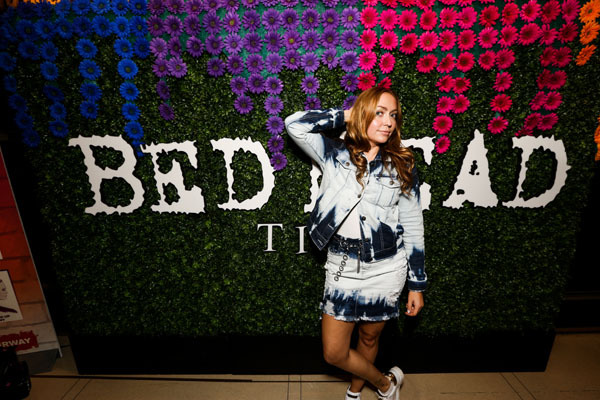 Bed Head by TIGI took over the Hard Rock Hotel in downtown Chicago on August 4th and 5th during the festival weekend, transforming the space into a destination for concert goers before and after the music festival. Serayah (Empire) and Iggy Rodriguez (The Bachelorette) stopped by to engage at The Bed Head Hotel and take in the stunning cityscape views from the Hard Rock Hotel Chicago’s 4th floor terrace. The event featured DJ performances by celebrity talent and fashion influencers such as Rumer Willis, Brandi Cyrus, Dani Thorne, Lindsay Luv and The Naven Twins as well as local notable Chicago DJs Jill Strange, Alissa Jo and Phil Rizzo and top Chicago-based street artist JC Rivera did a live graffiti chalk-art installation in the Hard Rock Hotel lobby. Guests had the opportunity to enjoy complimentary hairstyling by Bed Head, makeup touch-ups and manicures, specialty drinks and live entertainment. They stopped by the Bed Head Style Bar, a pop-up salon on-site, and received hair styling appointments courtesy of their professional styling team. From bold, boho braids to off-the-charts faux hawks, barber fades and twisted top knots, Bed Head was committed to providing guests with one-of-a-kind, festival-inspired styles to last all weekend. Each look was created using an assortment of top-selling Bed Head stylers, including Superstar Queen for a Day, a thickening spray that provides second day, lived-in texture for a style with staying power.